Good morning! Welcome to The Morning Shift, your roundup of the auto news you crave, all in one place every weekday morning. Here are some auto stories that are fun and happy and uplifting in these dark days. Details in the Google vs. Uber stolen tech case are emerging at lightning speed. Just yesterday, we learned that after ex-Uber CEO Travis Kalanick learned that ex-Google engineer Anthony Levandowski had stolen thousands of autonomous tech files from his former employer, he said that he didn’t want the files at Uber. The files were allegedly destroyed. Uber has denied that the files ever made it to the company. Today, Bloomberg and The Washington Post report that hidden in Levandowski’s executive employee contract was a promise to “cover the costs of legal actions against him over information stored in his head from his previous job at Waymo.” That is a crazy bit of fine print! 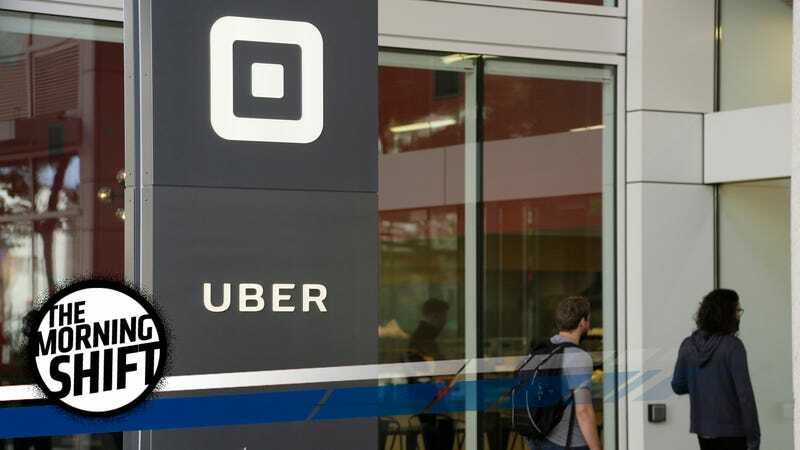 Jim Pooley, a lawyer at Orrick in Menlo Park, California, said he’s never seen a written agreement that makes overt reference to “bad acts” like Levandowski’s contract with Uber. Pooley said such a “vague and potentially very broad exception” looks “very troublesome” for Uber as the case heads toward trial because the company basically told Levandowski: Don’t worry about what’s in your head. Pooley said that the document could be “very powerful” evidence that Uber either knew or suspected Levandowski would be stealing secrets from Google. Considering how Uber seems to like to wallow in its own pig-shittery, are you surprised? Still, this is not a good look. Three years ago, it was revealed that General Motors fucked up royally over faulty ignition switches. Ultimately, the defect led to 124 deaths of hundreds of injuries. In 2014, the company was subject to a three-year consent order which both helped resolve claims related to the ignition switch recalls and required regular and open discussion between GM and the National Highway Traffic Safety Administration regarding recalls and other safety issues. That order has now concluded and GM is working on transitioning to a voluntary model for overseeing safety with the agency, the automaker said in a statement yesterday. Looks like GM is out of the doghouse. Sure, everything looks nice and friendly on the surface: GM has behaved well, which pleased the NHTSA gods, and now GM is going to keep up safety relations because that’s the right thing to do. But, you know, maybe if GM didn’t screw up so badly in the first place, we wouldn’t even need to be here at all. The great Volkswagen diesel buyback is well underway here in the United States. Folks in Europe aren’t so lucky, as VW asserts that different legislation in Europe means it doesn’t have to do so. There are exceptions, though. Autocar reports after waiving its rights to appeal in Arnsberg and Bayreuth, in west and south-east Germany, VW will buy back the cars in those two locations. It will maintain this stance and has penned the cases as exceptions due to the low values of the implicated cars, and does not expect it to be the start of a domino-effect of buybacks across Europe. Hahahahahahahahahahahahaha. You really think so, Volkswagen? You don’t think this buyback will set a precedent for anyone else? Ooookay. We’ll see. 4th Gear: Future Lotuses Could Be Built In... China? Man, remember the day that Lotus was saved? That was a good day. A benevolent god in the form of Geely swooped in and acquired a majority share of Lotus. And now it says that it’s considering building the cars in China, reports Bloomberg. Chinese billionaire Li Shufu said his Zhejiang Geely Holding Group said the priority will be to make Proton and Lotus profitable and to sustain growth while embracing new technology trends of electrification, vehicle lightweighting and artificial intelligence. Geely, which bought Sweden’s Volvo Cars in 2010, said the acquisition will help the automaker to be a major player in Southeast Asia and achieve a sales target of 3 million units by 2020. A Chinese-built Lotus? A Chinese-built electric Lotus? A Chinese-built electric AI-driven Lotus? What a time to be alive. Fire. It’s because of fire risk. Fire, bad. No fire, good. Neutral: Do you think after all the fines, executive departures and NHTSA-nannying that GM has recompensed for what it did? Or do you think it should have paid more?